The Auris is mostly sold in Europe. But it did finally make in to the US as the Scion iM. It is now sold as the Toyota Corolla iM. This new generation does look a bit rounder. But it is so covered up it's really hard to say. I don't see that many of these around here. I guess Toyota isn't even advertising it. Honda seems to do a much better job at letting people know about the Civic hatchback. Mazda3 is also super popular as a hatchback. 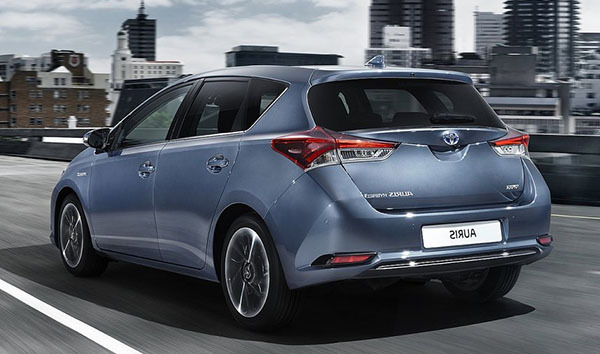 Now you all know: there's an all new Auris on the way! That still seems to be pretty much a mule butchered together from existing parts (doors seem to be current Corolla sedan units, rear lights currnet Auris units, etc...), I really hope the new model will be a bit more daring or interesting than that, just like the C-HR or Camry. The Auris also flies pretty much below the radar in Europe too, very little advertising, despite being far form a bad car,as Hybrid even rather innovative and much better value than the Prius with the identical drive train. I saw an iM yesterday, but they are still a rare sight. No commercials or prominent advertisements at all! The sedan is getting all the attention! I should play the lotto! Saw another iM this morning! Are we sure this isn't some sort of Lexus CT replacement mule? The greenhouse treatment looks very similar..